GRFXS |'grafiks'| plural noun [usu.treated as sing.] 1. the products of the graphic arts, especialy commercial design or illustration. 2 production of printed catalogs, corperate ID and collateral material. 3 (also computer graphics) [treated as pl.] visual images produced by computer processing. 4. Websites designed and developed with dynamic content. 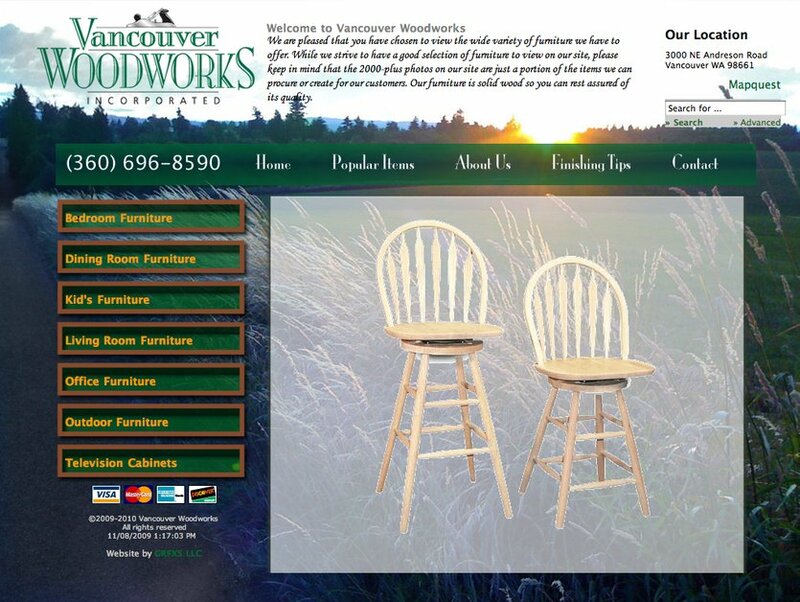 This is the homepage from our latest redesign for Vancouver Woodworks e-commerce website.